Are you in the hunt for reliable contract cleaning in South East London? It is recommended to hire our contract cleaners in South East London to maintain a clean working atmosphere. The key to a successful business is having a clean and tidy working environment. Many people step in and out of your office every day which leads to millions of germs. It could affect your employee’s health and their productiveness. 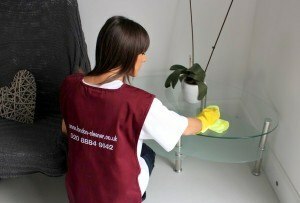 Why hire our contract cleaners South East London? Our cleaning company works with professional commercial cleaners in South East London on a daily, week-to-week, fortnightly or once-a-month basis depending on your requirements. They are fully insured and taught in all features of commercial cleaning. Our office cleaners have references from their previous clients which are presented on demand. They are obligated to provide evidence identity and address. If they cannot provide us with any references, we cannot offer them the job. Our cleaning prices are very competitive and easy on the pocket – click here. We provide variety of cleaning services from window cleaning, carpet cleaning, upholstery cleaning, office cleaning and end of tenancy cleaning. Get a free estimate and more information about contract cleaning South East London on 020 8884 9142.